Call our team of specialists for information about myeloma, practical advice and a little extra support. Call the Myeloma Infoline – our quality accredited, Freephone service – which provides information, emotional support, practical advice and a listening ear when you need it. We’ll listen for as long as you need us to, as our calls have no time limit. Your calls are completely confidential and can be anonymous if you want. When you call us, you’ll speak to one of our Myeloma Information Specialists who have an in-depth understanding of myeloma and are supported by a team of dedicated medical and nursing advisors. 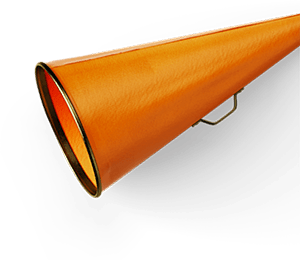 They can provide information about myeloma and its treatments, practical advice, emotional support and that all-important listening ear. It’s important to remember that the information our specialists give you is general guidance and should not be considered as medical or clinical advice, or used as a substitute for personalised or specific advice from a qualified healthcare professional. This also applies to any legal or financial matters. The Myeloma Infoline is available Monday-Friday, 9am-5pm (closed weekends and most public holidays). 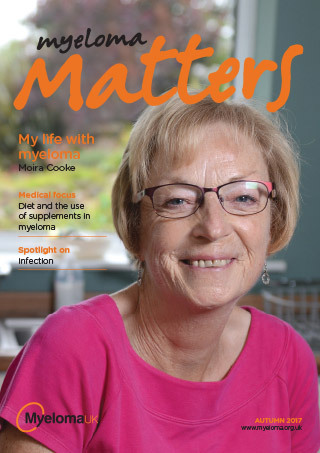 We aim to have at least 80 per cent of calls answered first time by a Myeloma Information Specialist. Myeloma UK is committed to providing the best quality service to anyone who calls the Myeloma Infoline and this service has been accredited by The Helplines Partnership since 2004. 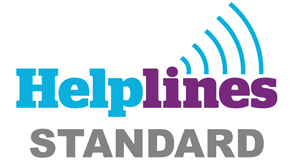 More information about the Infoline is available on our Helpline Standards page.